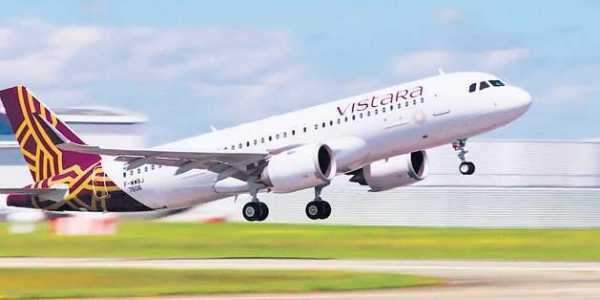 NEW DELHI: Private airline Vistara is set to expand its fleet. As per industry sources, it is poised to acquire six Boeing 787s. In the fight between aircraft manufacturers Airbus and Boeing, the latter won the race with an approximate $3.3 billion order. The order is according to the planned expansion of Vistara, the joint venture between Tata Sons Limited and Singapore Airlines. According to sources in the Ministry of Civil Aviation, many private airlines are prepared to expand their fleet of aircraft and operators like Jet Airways, SpiceJet, IndiGo and AirAsia India are planning to acquire an aggregate of around 900 aircraft in next five years. Recently, Union Minister of State for Civil Aviation Jayant Sinha had said that the aviation sector in India, currently growing at nearly 28 per cent, will see an investment to the tune of Rs 1 lakh crore in the next five years for capacity augmentation and development of new greenfield airports. He had also declared that India’s aviation market would surpass the US and China by crossing a billion passenger trips per year in the next 10-15 years. As per sources, Vistara’s plan is to start with short-haul international routes in the coming months. The airline has also reportedly applied for international rights to several places in Southeast Asia, including Singapore and Bangkok, as well as hotspots like Dubai. Seeing the consistent growth of the aviation sector in the country, Indian airlines are scrambling to add more jets to meet the demand for more domestic and international flights. This is expected to make India one of the most targeted sales markets for jet makers Airbus and Boeing. According to an estimate by the International Air Transport Association, Asia Pacific is likely to have 3.5 billion passengers by 2036, adding more than double the forecast for North America and Europe combined. To meet that demand, Boeing estimates that carriers will need 16,050 new aircraft valued at $2.5 trillion by 2036.